This is another video of Greggoria. 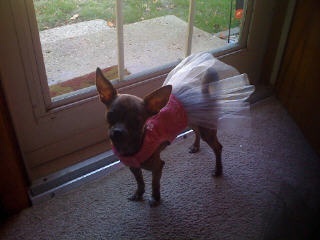 We call her Gregg the Girl Chihuahua with the Boy Name. Here she is at a year old. She hasn't grown much. Still very Tiny weighing only 3.8 pounds. She is a Tiny Sweet Chihuahua. All my friends and family Love her. I Gave her to one of my Good friends Patty Smith. Patty and her family Love Gregg Very much. They are very Grateful that I gave them Gregg. Here is a Video Patty sent me for my Website. This is Greggoria. we call her Gregg. The Girl Chihuahua with the Boy Name. She is Super Tiny. In this Video she is 5 and a half months old and weighs just 2 pounds 4 Oz. People who have my pups are always telling me that my puppies are Super Gorgeous, Fun Loving, Outgoing, Super Friendly and Truly Awesome Pups. 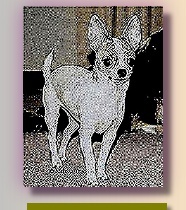 Please Enjoy these Videos of some of our Babies from VICTORY CHIHUAHUAS.